The product also comes bundled with a carrying case and an in-line remote to use it as a microphone for phone calls or gaming. 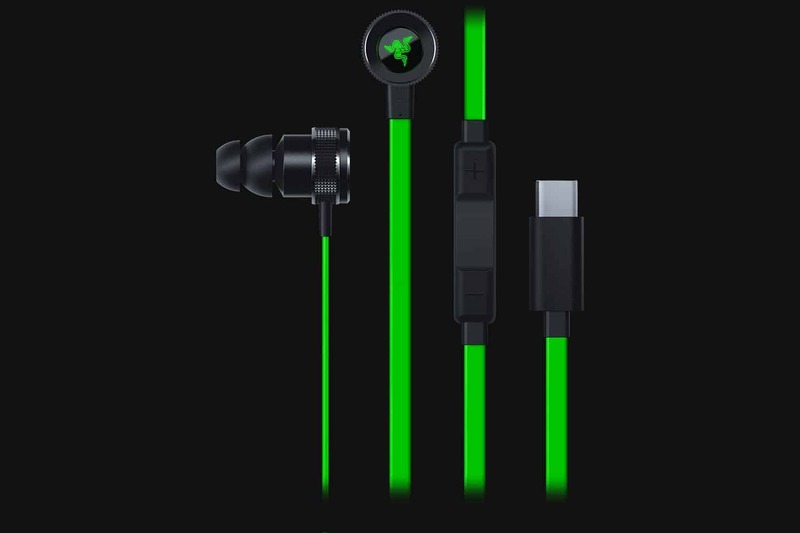 Razer wants everyone to believe that the 3.5 mm jack is going to go away as they launched the new USB-C jack on their new Hammerhead in-ear headphones to match the newly launched Razer gaming smartphone. The newly launched iPhone X, Google Pixel 2 and the Razer smartphone doesn’t have a 3.5 mm audio jack and so are many different models. While big players are not going to release USB-C headphones anytime soon, Razer is doing it for everyone else much earlier than they are supposed to be adopted by the general users. Powered by 10mm drivers with the capability to create strong bass and treble, the new Razer Hammerhead is a solid in-ear phone which has a 4.27 feet cable and weighs 28 grams. The sound quality seems promising on paper. The product also comes bundled with a carrying case and an in-line remote to use it as a microphone for phone calls or gaming. The Razer Hammerhead costs $79.99 which is a good pick if you are okay with the brand name and the type of products they offer which are usually inspired by the world of gaming.